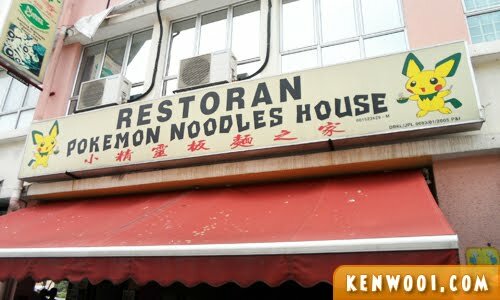 Honestly, I’ve NEVER heard of an eatery that names itself as Pokemon Noodles House. 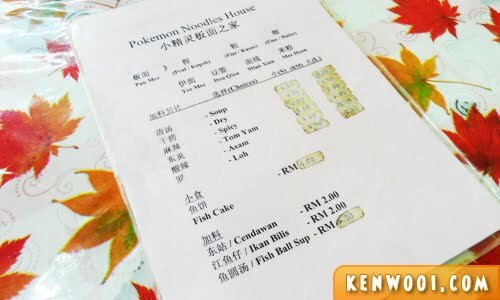 Well, as amusing as it may sound, this noodles house actually exist in a nearby town not far away from the city… in Kepong. 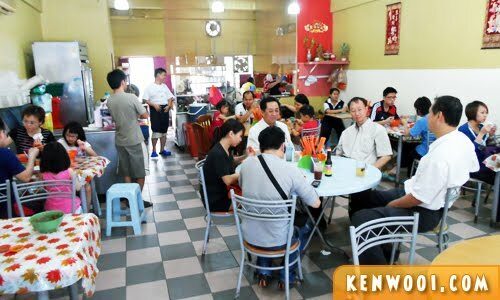 After being told about this interestingly-named eatery, we decided to venture into Kepong (a place I rarely explore) and look for it. Oh, yes! We were on a Pokemon Noodles Adventure! All I see was just ordinary humans having their lunch. There weren’t any cute fluffy Pokemon jumping around and battling each other. By the way, we asked a staff regarding the eatery’s name. The lady said it’s because they want to be unique. Hmm? But I don’t see any uniqueness in “Pokemon”. Meh. Anyway, a lunch it was. The choices of noodles are rather limited. 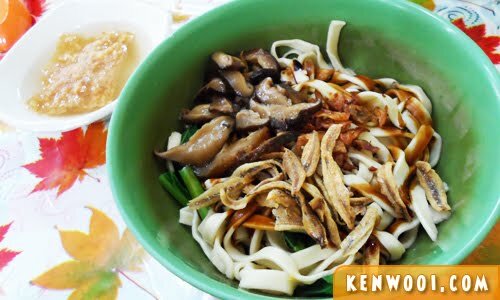 A small bowl is RM4.50, while a big one is RM5.00. We ordered a bowl of Tom Yam noodles, another bowl of Dry Pan Mee, and fish cake. 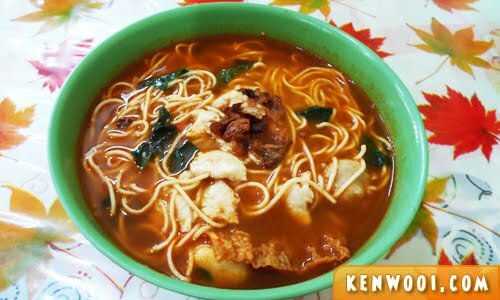 The Yom Yam noodles’ flavouring wasn’t all that strong, but the soup has a tinge of spiciness that is enough to make you sweat. 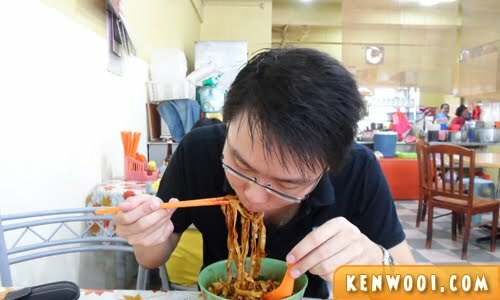 Meanwhile, the Dry Pan Mee was pretty ordinary. There’s nothing so Pokemon-ish about it and I’ve tasted better elsewhere. As for the fish cake, it doesn’t look like what I was expecting. Frankly, it’s pricey at RM4.50. But surprisingly this layer-textured fish cake tasted pretty good. While I was having mouthfuls after mouthfuls, a strange feeling started overwhelming my body. It was uncomfortable. I can’t explain how it actually felt. 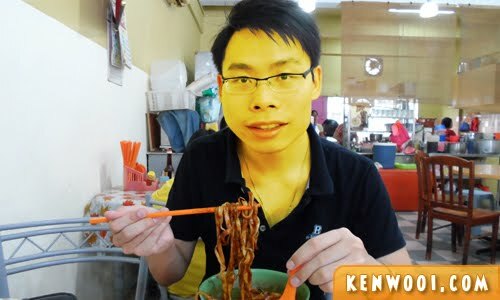 But as it was happening, my head started to swell and my face was turning… yellow. It was captured on camera… LOOK! Pikapi, Pokemon Pika Pika pikapi pika 8am pika 5pm pikapi, pikapi pika pika pika pikapi pika pikapi. 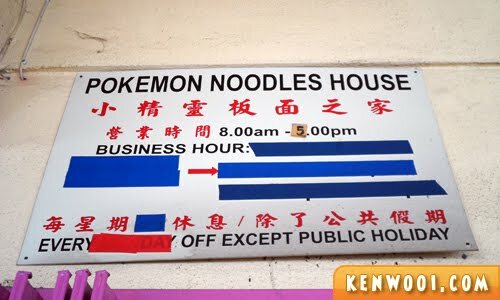 Translation: Anyway, Pokemon Noodles House operates from 8am to 5pm in a day, but I’m not sure of any off-day due to the excessive taping on the board. Pika pikapi, pika pika pika. Pikapi pika pika Pikachu pika! Translation: The food was OK, nothing so special about it. But I was delighted to be Pikachu for a day! hahaha!!! did u check out the chef? maybe he’s a Pokemon! Srsly, i feel like whacking u in this post.. I laughed so much that I rolled on my bed and hit my head on the wall!! T-T pika bad. hahaha… supposed to be shocking right? not flaming dragon! hahaha… charizard i choose u! 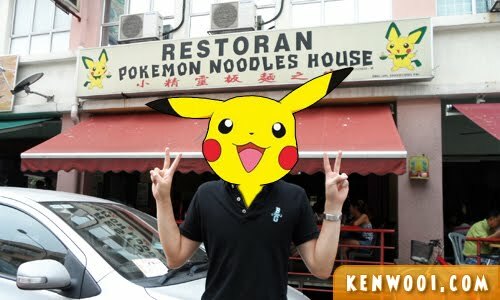 Hi, Mr Pokemon, u r the unique of the restaurant lor …hahaha! LOLL!!! when u went pika pika with the translation all i totally lost it! hahah! genius!! hahahah good one, creative post. 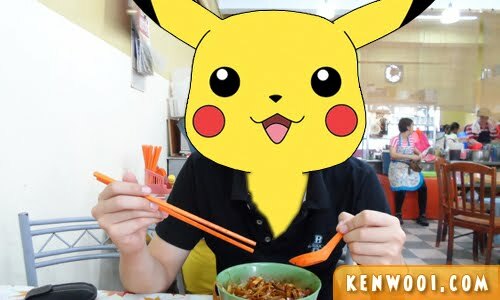 Hahah then i should have go and give a try because i dun wan to become Pikachu hahha! HAHAHAHAHAHAHA wtf you actually blogged with Pikachu’s language! I nearly fell from the chair wtf. By the way, Mr. Pika Ken, you’re looking cute there. LOLOLOL! Heh! I’ve been here before. Cheap food, but not good food. That is a lot of tape used. Haha! I didn’t notice it last time. lo. :D A simple food review that you made interesting. hahaha the amount of things they would use to market their shop these days is astounding! haha man, you are amazing. initially, i thought,yea,i can’t see anything related to Pokemon cuty guy. Then you turn yourself into POKEMON after eating the food. That’s so awesome, I even get to immerse myself in your situation by thinking I were at that restaurant. i saw this shop too! 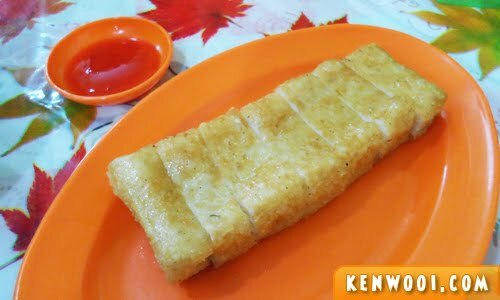 hahaha.. the name is so so so cute and so is KEN WOOI! you damn funny la!!! Lol. btw, the signboard picture is pichu LOL. Doesn’t sound like a good place to eat.